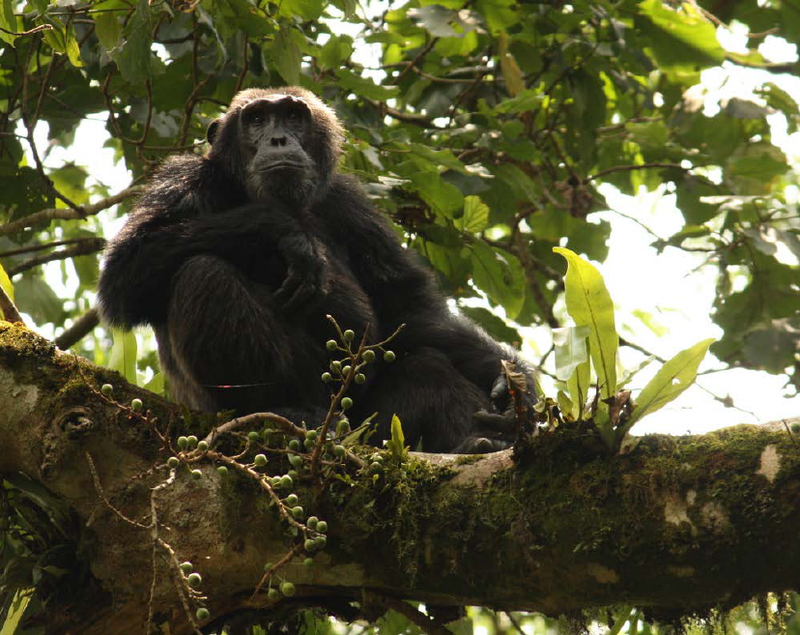 Conditions: During the day, it was warm and pleasantly overcast, averaging around 20 – 25 degrees Celsius in the country side and QENP, while slightly cooler temperatures were experienced in the rainforests of Kibale and Bwindi, where some good rain was received in the form of late afternoon and evening thundershowers. As always, we had excellent Chimp and Gorilla trekking as well as fantastic game viewing and birding. On final approach to landing in Uganda one is treated to the beautiful sight of the massive Lake Victoria, one of Africa’s Great Lakes, containing no less than 2750 cubic kilometers of water, where local fisherman can be seen fishing from their small boats. The arrivals hall, was where I met each of our participants, who were also greeted with the warm air of this tropical country, which was relished by all after having come from their cold winter homes. With the tour officially underway, everyone felt a rush of excitement as we chatted all the way to the Boma Hotel. This hotel is superbly situated within 10 minutes’ drive from the international airport, while all of the rooms had also been recently refurbished and of course the food was excellent as always. 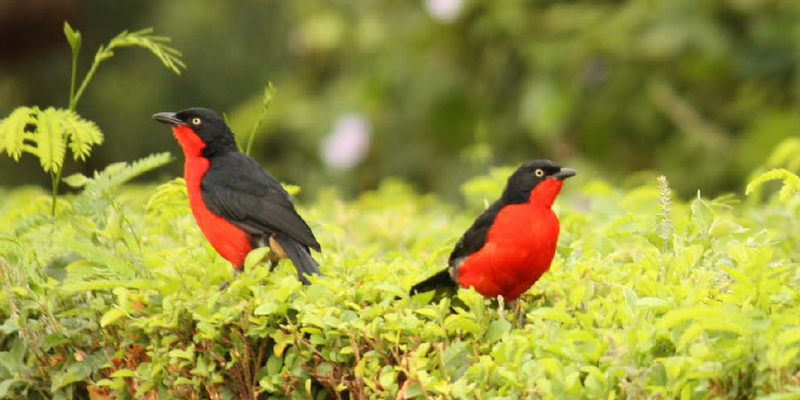 For those guests who arrived earlier in the day, there was the opportunity to walk in the gardens and get their first taste of Uganda’s exquisite birdlife, as Ross’s Turacos, Red-chested Sunbirds, Black-headed Gonoleks, together with the amusing chimp-like call of the Eastern Grey Plantain-eater, all introduced themselves to us. After an enjoyable dinner, where all the participants were able to meet and learn more about one another, and where I was able to brief everyone on the very thrilling tour ahead, we all retired to our rooms for a good night’s rest. We set off early after breakfast for our flight to Kasese. The flight heads almost due west towards the spectacular Rwenzori mountain range. After a very relaxed flight in calm conditions, we were greeted by Uganda’s National Bird, the Grey Crowned Crane, which was just off the grassy runway, as we landed in Kasese. I introduced all our guests to our local guide, Livingstone, who would not only be transporting us all safely to all our destinations, but who would also be engaging with interesting information about the local culture, history and of course wildlife, especially the feathered kind! En route to Kibale, we were able to enjoy sights of country life in rural Uganda. While stopping to buy some delicious bananas, we watched a Variable Sunbird enjoying the nectar from the tubular orange flowers of the wild dagga (Leonotis leonurus) plant. Just before entering the Kibale Forest, we stopped alongside Lake Nyabikere, where we were fortunate to spot a spectacular looking bird, the Shining-blue Kingfisher. This beautiful kingfisher, with a dark blue cap and wings, contrasting with an electric blue back and a long black dagger bill, sat perched on the edge of the Lake allowing us to enjoy its magnificent colours. 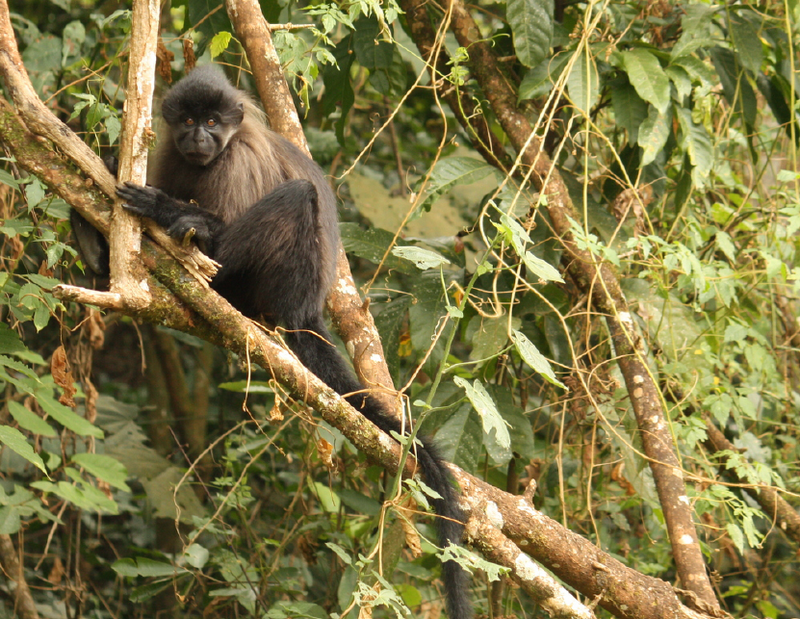 On entering Kibale Forest we spotted our first primate!!! 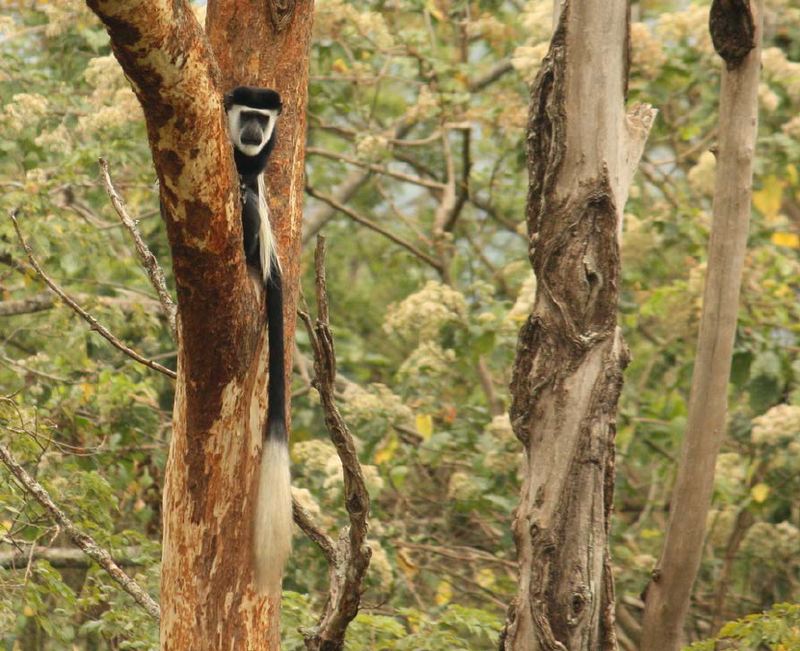 A family of Guereza Colobus monkeys were sitting high up in the Eucalyptus trees, which mark the start of the Forest. These great looking black and white primates were resting after their morning feed. Colobus monkeys, have a complex and sacculated stomach, which is able to process difficult plant materials as they prefer unripe, green or brown fruits, seeds or pods instead of more ripe, soft and colourful fruits like most other primates, and therefore spend long periods resting to allow digestion to take place. This allowed us to get a great view of them before they decided to leap very confidently and acrobatically from tree to tree, with their long balancing tails. A great start and it just kept getting better! Soon after entering the forest, Livingstone spotted a Blue-throated Roller, a real rare Uganda special. We alighted our vehicle, in order to get a better view. We set up our scope to bring this stunning bird up close and it was then that our guests could appreciate its true beauty. The roller, aptly called because of its rolling aerial displays, led us to see its nest in the hollow of a tree as flew in, and then out after a while. Then, suddenly we heard shrieks in the distance behind us. Chimps!!! We all hoped to get our first glimpse of our closest living relative, but this was not to be, for now. We drove on a little further and found a relaxed family of Grey-cheeked Mangabeys; a very recognisable primate with its naked black face, long ragged tail and tufted crown. The male’s loud, distinctive “gobble” call, was one we would all become familiar with over the days ahead. They in fact have enlarged vocal tracts and when males become dominant, their call becomes the beacon for their group’s movements and orientation. Dotted amongst the Mangabeys was a family of Red-tailed Monkeys. These small primates, weighing no more than 5kg, as their name suggests, have beautiful long red tails. They also have a very recognizable white nose-spot and blue facial skin. They, spend early mornings foraging for fruit, which makes up more than half of their diet, before being displaced by larger monkeys. We had great views of both and had hardly entered the forest, when a flock of Great Blue Turacos could be heard with their loud hollow wooden rattle call. As they flew overhead we were able to see the impressive blue colours of the extraordinary-looking turacos. We arrived at Primate Lodge, our home in the forest for the next two nights. A couple of our guests, soon after checking into their chalet, came face-to-face with a big male Olive Baboon. What a welcome to the primate capital of the world! After a well-deserved lunch, we set off for Bigodi Wetlands, which offers a trail around the wetlands to look for primates and birds. After having been in planes and in the car travelling, being out on foot to stretch our legs and warm up for our trek in the forest the next day, while being in nature, was a perfect way to spend the afternoon. We managed to find a host of many new birds, notably the Brown-throated Wattle-eye, whose call reminds me of a child’s rusty swing, Green-headed and Scarlet-chested Sunbirds, the large Black-and-white-casqued Hornbill, Purple-headed Starling, while calls of Bocage’s Bush-shrike and a Snowy-headed Robin-chat where lovely to listen to. We also had some more great views of Guereza Colobus monkeys, chatted to a local who was harvesting his coffee beans, interacted with some small children who were fetching water and just as we were on our way out, found a family of Red Colobus Monkeys. As time had run away with us, Livingstone decided to catch a taxi to fetch our vehicle while we continued ambling slowly around the wetlands. 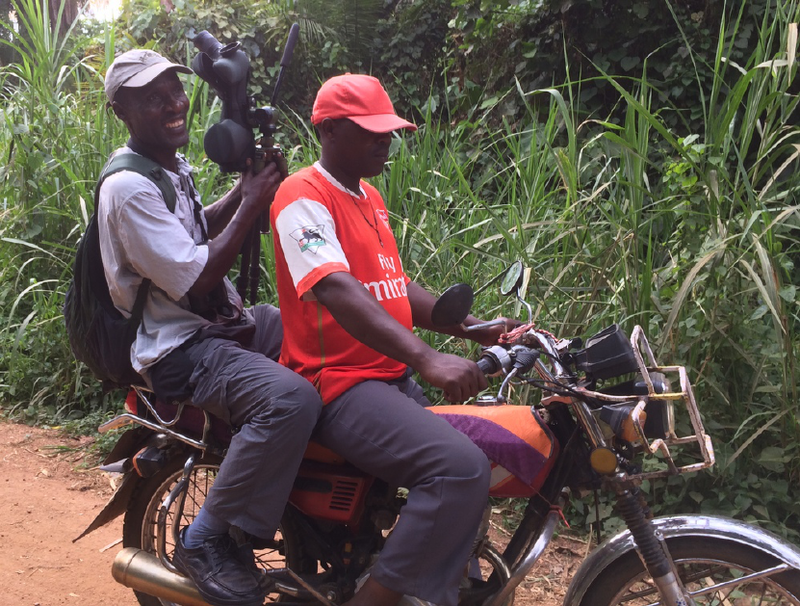 In Uganda the local taxis are motorbikes called Boda-bodas (which comes from the word “border”). When people wanted a lift to the border to get across into the neighbouring country Kenya, they would hold up their hands and cry “Border-Border”. That night, just before dinner, we received a spectacular thunderstorm. 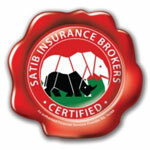 The rain was welcomed by all, as it gave a freshness to the air and cooled down the night allowing us a restful sleep. Before climbing into bed, I did one more quick survey from my balcony and was ecstatic to find a Wood Owl perched eye level in front of me. Time for sleep though, we would all need our rest for the day that lay ahead. After an early breakfast we strolled down to the visitor’s centre, where we were to meet our guide. After a brief orientation talk, the sun was just starting to rise, as we set off into the forest. We were doing the full day habituation with the Chimpanzees, and we were all very excited! This meant that we were going in search of Chimpanzees, which were not used to seeing people. 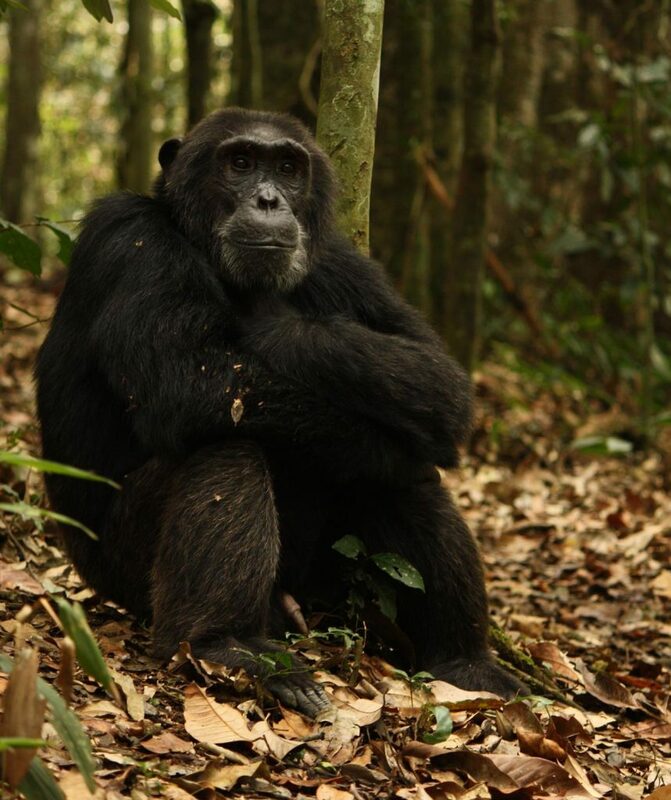 By doing this over time, the chimps would hopefully not perceive people as being a threat, as would be their first impression, and allow us to view them more closely as they do in other parts of the forest. Birding in the forests may often prove to be challenging as the birds themselves are difficult to see high up in the canopies. The sounds however are wonderful. As we strode through the forest along wet but not muddy trails, we could hear the sounds of the Scaly-breasted Illadopsis, Red-chested Cuckoo, African Goshawk and the ghostly Asef Pigeon. Livingstone told us that when he was a young boy, sent to fetch water by his parents, that his parents warned him of a monster living in the forests, who would prey on young children. The Asef Pigeon, heard but rarely seen, has a call that seems like it is far away and this would give Livingstone and his siblings enough time to flee the forest to escape the “monster”. He later learned that this was just his parent’s way of making sure that he did not dilly-dally while doing his chores. As we walked further into the forest we could see where chimps had built previous nest sites, something they do at night to sleep, but also at times during the day during heavy rains. We could also hear the sound of rain frogs, which must have been so thrilled to have had the rainfall during the night. The smells of the forest were so clean and the colours of green so vivid and walking among the giant trees of Kibale was inspiring. After crossing a beautiful running stream, we headed for a fig tree where we had hoped to find some chimps enjoying their breakfast. En route we found fresh elephant dung from the night before. It was full of dung-beetles scraping it together and making balls to roll away. The female dung-beetle after mating with the male, will lay a single egg in the ball and then bury it so that the dung-beetle larva which hatches, not only has a safe place from in which to develop but also nutritious food to eat. In nature, nothing goes to waste. We found the tree, and it was full of figs, but we came to realise that that the chimps had moved away upon hearing our approach. We were so close. Our guide set off ahead to see if he could determine which way they had gone, while we waited to see if some would return. Alas, right above us was a female chimpanzee with her baby. Our first sighting of a chimp! As expected, she was shy and hid from us, but we were patient and waited and although the sighting did not improve, we felt that our time with her would be valued in time to come, after all this is a wild animal and it was doing what it knows best; self-preservation. Our guide came back but had said that the others were moving too quickly away and so we decided to move along too. Around midday, our guide told us that we would be going to the habituated family and thanked us for our efforts for spending time in an area of the forest less travelled by humans. It wasn’t long before we came across a male chimp, who was seated at the base of a tree, feasting on the bark and even heartwood of the tree. And then another close by who was simply taking a nap in the middle of the trail. We had a great sighting and spent about half an hour watching him as he sat crossed-armed looking straight through us. When he decided to move, he followed a trail where the other had moved towards and soon we were following 5 males striding down the path ahead of us. On all fours, they moved quickly and with purpose. Before finding them again, we’d heard a few shrieks and now looking at one of the chimps who had a small gash in its upper thigh, it appeared to us as though there may have been a small altercation between the chimps. 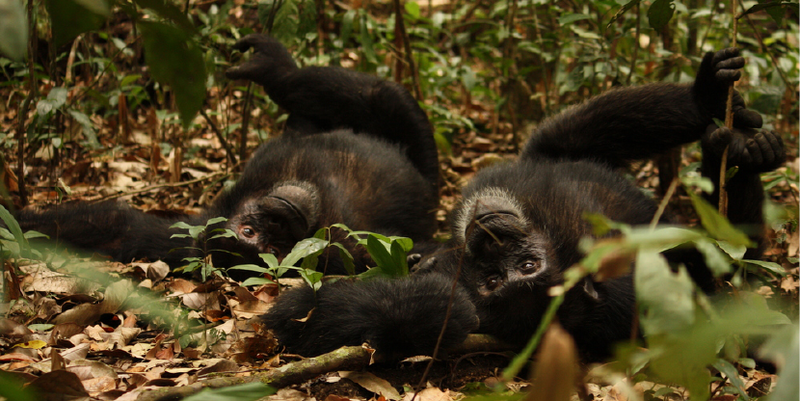 Chimpanzees within a family form very close bonds with a clear rank among the individuals. Males from other families are not tolerated and groups of males will often patrol their territory perimeters to ensure that there are no intruders. On this occasion however, it was more a case of hierarchy within the troop as we found the dominant male not too far away grooming another adult male. The male who had the wound allowed us to watch him as he treated his injury. He took a leaf, licked it and then dabbed in on his cut, licked it again and continued with this for at least 20 minutes, until he was satisfied that it was on the mend. Since he could not reach his thigh directly with his mouth to lick it, we found this behavior of using a leaf, although at times he did use his finger, very interesting! When we caught up with the dominant male, we spent our last few precious minutes with him and another male, which eventually decided to rest and groom one another, just a few metres from us. What a delight. The finale was when they decided to move. The ‘big chief’ as he was affectionately called by our guide, walked right between us, as if we were rocks on either side of his path. We could not have hoped for more after spending 8 glorious hours in Kibale Forest. After another scrumptious dinner, we took a short walk around the camp to see if we could spot any interesting nocturnal animals. Careful not to surprise an elephant, which seem to prefer moving around these parts at night, we treaded slowly looking high and low for anything that moved. Luck struck, just a few metres from the path we spotted a genet, who was standing motionless watching us, but within seconds it made its move to get away. While we enjoyed a more leisurely breakfast at a slightly more reasonable hour, we watched Guereza Colobus and Red-tailed Monkeys feeding in the trees around the camp. As we headed back south, we decided to take the back route. After the rains we had a couple of nights ago, we hoped that the dirt road would be less dusty and this proved correct. As we drove, our Toyota Landcruiser handled the conditions extremely well. It was market day, and locals were loading up their bicycles with plantains to sell at the markets. They would walk beside their bikes pushing their heavy loads for kilometers to reach their selling point; no easy feat! We stopped to stretch our legs and enjoy the incredible sight of one of Uganda impressive volcanic crater lakes, Makekwa ndali, which apparently is the same lake that appears on Uganda’s bank notes. The volcanic field is about 200 square kilometers and some of the craters in Queen Elizabeth National Park are up to 3 kilometers in diameter and 100 meters deep. These unusual formations were formed individually by a series of violent volcanic explosions over the last 1 million years. The explosions were a result of superheated gas and steam, and despite the volcanic activity, there was no lava flow. Many of the craters have now developed into picturesque saltwater lakes. Soon after Kasese, we arrived at the equator. A wonderful opportunity to stretch our legs and take some photos of the group standing with a foot on either side of the equatorial line. 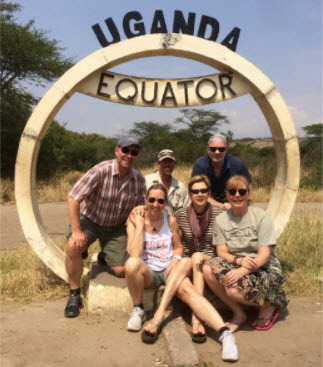 Now south of the equator, we were driving in the famed Queen Elizabeth National Park, and fitting that the first animal we saw was in fact Uganda’s national animal, the Uganda Kob. On our drive through the park, which hosts more savanna wildlife and very different terrain from the forests where we recently stayed, we were able to see Cape buffalo, Defassa waterbuck, while great sightings of both Cinnamon and White-throated Bee-eaters swooped alongside us catching insects on their wings. We arrived at Mweya Lodge, superbly located, overlooking the Kazinga Channel in time for a hearty lunch. 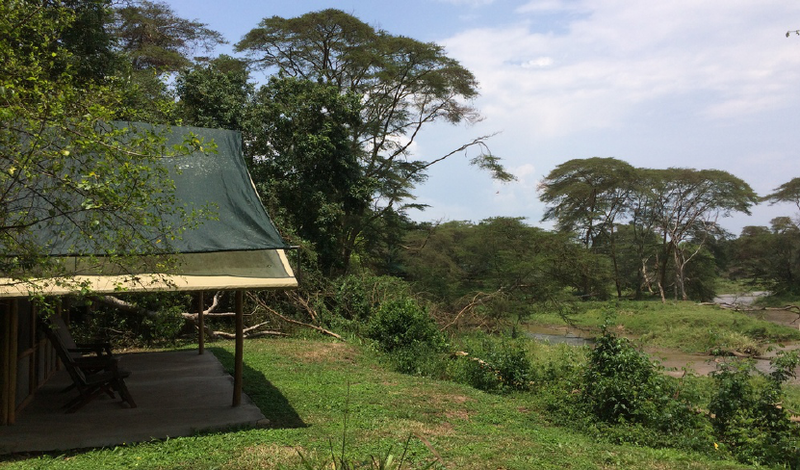 From our rooms, overlooking the channel below, we watched elephant bulls meandering down to the water for a drink and hippos and buffalo cooling down in muddy shallows on the edge of the channel. In the late afternoon, we set off on our private boat trip along the channel, which is a wide, 32-kilometre long natural channel that links Lake Edward and Lake George. From the boat we were able to get up close to the hippos and buffalo along with crocodiles, warthogs and kob. The constant calls of the Fish Eagles resident on the channel could be heard throughout the trip. Fantastic views of Red-throated Bea-eaters, Pygmy, Malachite and Pied Kingfishers and a plethora of wading bird was cherished by everyone. Seeing the African Skimmers in action and up-close was definitely a highlight and then as we rounded a corner, a family of 3 Giant Forest Hogs were feeding on the lush green grass at the water’s edge. This was a great sighing as they were out in the open and allowed us a good look. As with all wildlife trips, one must grab whatever one can see for one may not get the opportunity for a better chance again.My mantra in the bush; relishing and appreciating every moment for it is never repeated and seeing what we had up until this point, made me feel truly blessed. And yet there would still be much more to come! The following morning as the sun rose over the channel, to the honking sounds of hippos and striking cries of the African Fish Eagle, we all enjoyed a hearty breakfast before heading south to Ishasha. En route, we passed through the Maramagambo Forest, which borders the eastern side of Lake Edward. The area had just receive good rain and what was incredibly striking was the groups of butterflies which collected around the muddy puddles along the edge of the dirt road. We got out of the vehicle to inspect and were astounded by the beauty of all the different colours, shapes and sizes. This also allowed us to listen to the sounds of the forest and we heard some branches snapping close-by, but unfortunately did not see the elephants responsible, although fresh dung was a clear sign that they had moved through fairly recently. We had some more great sightings of Guereza Colobus Monkeys and Olive Baboons close to the road, as well as sightings of a few elephant bulls browsing in the distance. Our Landcruiser sloshed through the muddy potholes and it was exciting to see how green the landscape had become. Just 2 weeks prior, the whole area was dry and in some of these parts, deliberate fires were set to remove all the old moribund grasses to allow for all the new fresh growth after the rains, and how spectacular it was looking! The new growth was attracting large herds of buffalo, Uganda Kop and our first sighting of Topi. Our eyes were also searching hard in all the fig trees for the famed tree-climbing lions of QE. We did enjoy good sightings of some large raptors, including the regal looking Martial Eagle, the Rüppel’s Griffon and unmistakable flight of the Bateleur Eagle, which rocks from side-to-side like a tight rope walker walking on a high rope. We arrived at Ishasha Wilderness Camp in time for a delicious lunch. I was asked by our participants to make a special mention of all the meals we had in Uganda during our stay. They were all equally amazing!!! All made with authentic Ugandan flair, using all local ingredients. The avocados, bananas, pineapples and tree tomatoes were all a massive hit, not to mention the tea and coffee; two of Uganda’s main exports. In the afternoon we headed out on a game drive. 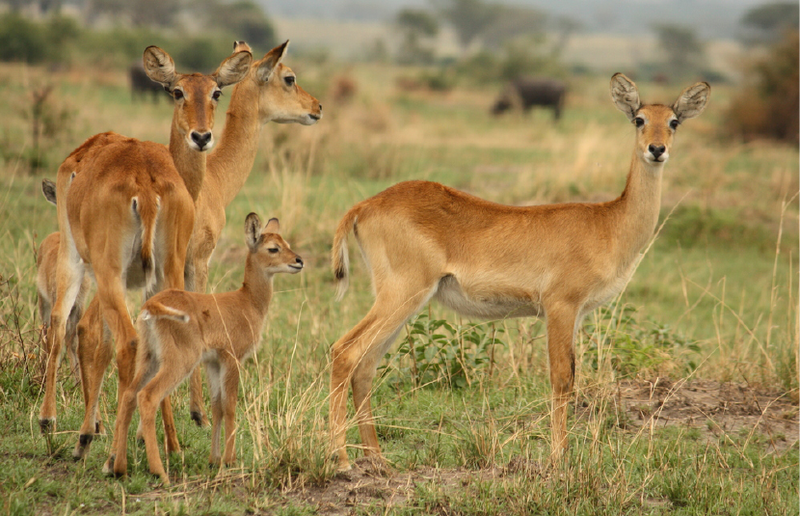 The plains were littered with herds of buffalo, Defassa waterbuck, Topi and lots of sure-footed Uganda Kob lambs, which were no more than a couple of weeks old. A Pallid Harrier was spotted scanning the short grasslands for prey, while the call of the Black-bellied Bustard called for our sundowner stop, as the guests enjoyed local lagers and appreciated the beautiful expansive vistas. That night after dinner, we retired to a fire-pit on the edge of the river to enjoy a night cap. While we did so, two of the resident ‘dugga boys’, the affectionate name used to describe the big ol’ buffalo bulls, came sauntering through the camp between our rooms and down to the river for a late night graze. The days can be quite warm at this time of the year, so the bulls spend much of the heat of the day relaxing in mud wallows to keep cool, while the nights being much cooler, are great for moving around and grazing. Since these bulls do not follow a herd, their movements are less especially when they find a good patch of grazing and fresh drinking water. During the night we could hear the gentle rapids of the river, which made for all having a great night’s rest. In the morning we awoke to the sound of Guereza Colobus monkeys and Crowned Hornbills calling. After breakfast, we set off and soon came across a Black-bellied Bustard intensely involved in a courtship display. We watched this fascinating ritual for over 20 minutes. The male was pecking the feathers around the head of the female, while she lay crouched on the ground. It’s often this bird’s call, which is amusing to watch as it sounds like a champagne cork popping from a bottle, but seeing this show was equally impressive. Another comical looking creature, which enjoys the short grass is a warthog, and we saw many enjoying the fresh new grass shoots coming through. We did however also find the fresh remains of one warthog, just the skull; evidence of a predator nearby. A Yellow-billed Kite was feeding off these remains but we did not see any other parts of the carcass. Another bush mystery! We searched in the morning and later on our drive in the afternoon for any sign of the tree-climbing lions but to no avail. We heard reports that they had moved further north but with the abundant prey had hoped that they would return. In the afternoon however, we did come across a young Kob, which had been hoisted into a tree. 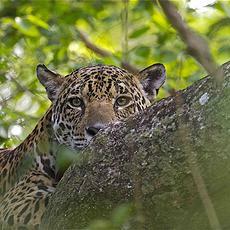 Exciting, a leopard in the midst. We decided to return the following morning to see if we could find it. Before breakfast, we were treated to a pair of Black-and- white Casqued Hornbills feeding their hungry young which were safely nested high up in the hollow of a tree. While driving up on the edge of a swampland, we stopped to have a look at a Verreaux’s Eagle Owl, resting in a faraway tree. While we were watching this massive owl through the scope, we spotted a couple of hyaenas resting in the papyrus reeds below. One of them was flushed out when a herd of buffalo approached the muddy waters and we managed a great view of her running through the fields, which sending warthogs fleeing, when they caught sight of her. Leopard!!! We went back to the tree with the young Kob that had been hoisted and found a leopard sleeping in the tree alongside her prey. She was so relaxed that she hardly moved; her belly was full and hung between the forks of the branches. We all enjoyed some great photos, albeit at a distance, of this gorgeous feline. A great way to leave behind the riches of Queen Elizabeth National Park as we drove towards the rainforests of Bwindi Impenetrable Forest for our final adventures. After lunch, we headed into the local market to see some of the local crafts. 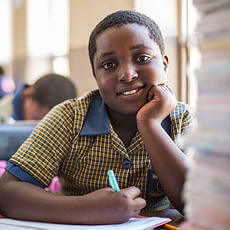 We also heard drumming and this drew us in to see a dance performance by some children from the nearby primary school. Excellent talent and filled with energy, the children put on quite a show, which was to raise awareness and funds for their new school. Birding around the lodge in the late afternoon yielded some delightful new species, namely Lüdher’s and Many-coloured Bush-shrikes, African Paradise and Blue Flycatchers and Petit’s Cuckoo-shrike. After a wonderful dinner, and a briefing on what to expect on our first gorilla trek that lay ahead, we all retired to bed with the sounds of rain all around. The next day, calm after the storm, fresh clean air was filled with excitement for the day that lay ahead! We all chose our walking poles, provided by the superbly located Buhoma Lodge, and headed eagerly down to the visitor’s centre for our pre-trek briefing. There are 3 habituated Mountain Gorilla families that one is able to trek from this point. 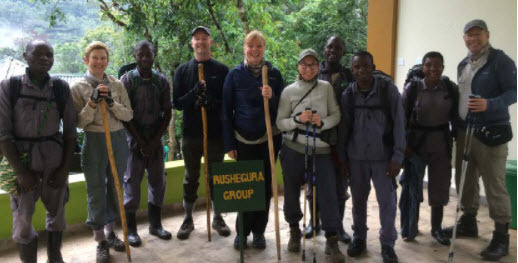 On this day we were to trek the Rushegura family, and walked from the centre directly past our lodge and into the primary forest of Bwindi in search of the endangered and much loved Mountain gorilla. En route, our gorilla guide David, spoke about the Batwa tribe, who previously inhabited the forest and were relocated outside of the forest in the early 1990’s.Sounds of a Bar-tailed Trogon, and the very sought-after Willard’s Boubou (a recent split from the Mountain Black Boubou) were heard as well as the interesting sound of the Black-faced Rufous Warbler, whose call sounds like the beeping of a truck in reverse. Massive avocado trees, strangler figs, and giant snails were all glistening after the rain. After a couple of hours of walking, we were alerted by the trackers, who had headed off earlier to locate signs of the gorilla family, that they had found where the family had slept the night before. Gorillas make a nest on the ground at night to sleep. The trackers guided us to where they were moving, as they were hot on the heels following the fresh tracks of the family. It wasn’t long and we were in amongst the family who were up in the trees feeding. Kanywani, a young black back, whose name means the ‘playful one’, was the first gorilla we encountered. This was in fact the very same one, who on the previous years’ trip, had approached me and sniffed my cheek before moving on. What a thrill it was to see him again, this time looking very relaxed as he came down from a tree and sat listening to the forest, allowing us a wonderful view! 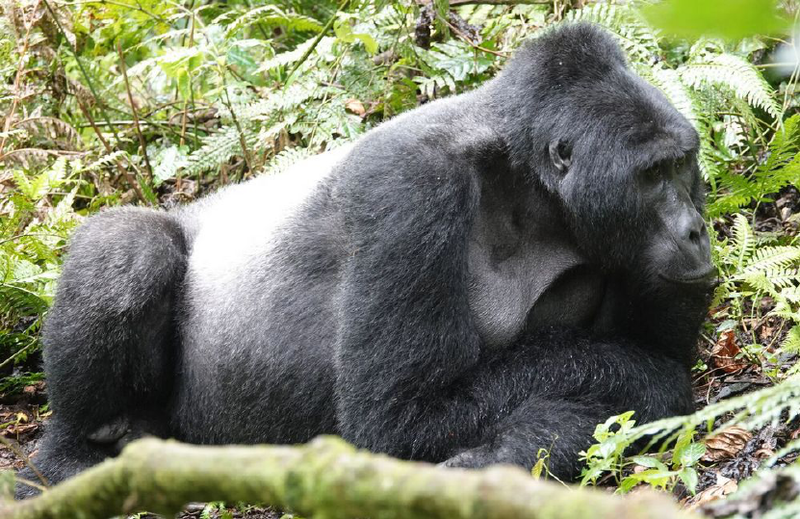 Soon afterwards, we saw the family’s silverback, who strode along vigilantly listening to the sounds in the forest and family nearby, before settling down to rest. We enjoyed great views up close of a mother with her youngster, which was very playful. His mom however was building a nest to rest and tolerated her baby with the utmost gentleness. Another mother with a baby climbed down from a tree and walk confidently right past us and came to rest near the other mother. This gave the two youngsters a chance to wrestle; one even tried its luck with a sub-adult female, who subtly rolled over and sat gently on the little one as if to say “I’m too big for you to play with and I’m trying to sleep”. We had great views of them in the open. After a fantastic hour with these majestic animals, we slowly retreated to a distance away, where we could all enjoy our packed lunches and chat about our incredible first encounter with the Mountain Gorillas! In the afternoon, we headed over to a craft centre, which was established by a young woman and her mother as a way to empower many of the local woman. We were able to see first-hand the skills of these talented woman as they wove mats, bowls and baskets. Others were making clothes from very colourful fabrics attained in West Africa. A visit to the adjacent hospital also gave us a chance to see the wonderful work that is going on to uplift the healthcare in the community. 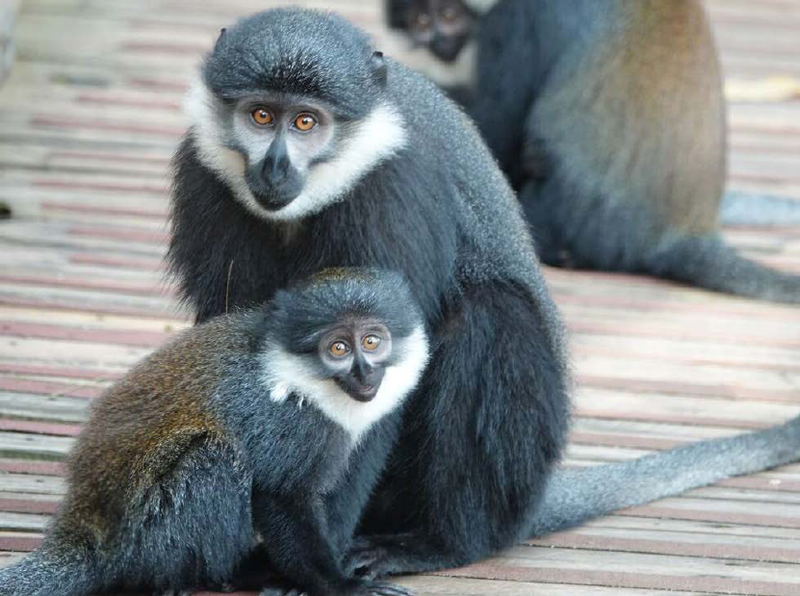 Those who stayed behind at the lodge for a complimentary massage enjoyed great views of a very playful family of L’Hoest’s Monkeys, which bounded around on the decks in front of their rooms. The next day we were to trek the Mubare family, a real thrill indeed, since this was the very first habituated family of Mountain gorillas in Bwindi Impenetrable Forest. We drove for about an hour through the beautiful countryside before reaching the point from where we would trek. 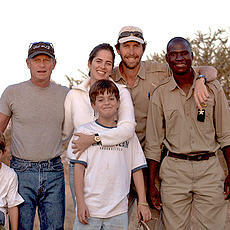 We were with David, who was once again in radio contact with the trackers. We headed down a steep slope, while being helpfully assisted by our porters, who not only took the weight off our shoulders by carrying our bags but were always very willing to pull and push us whenever we required any assistance. After a couple of hours of walking the slopes in this beautiful forest, we were led to find the Mubare family who were settled in a valley between the sloping hills. We first encountered a young black back who was sitting on a vine. He started to swing on it to reach some of the leaves on a tree that he desired but then suddenly and very playfully reached out to one of the participants and grabbed hold of her jacket and then let go as he swung away. We retreated slightly, and no sooner than we had, he mischievously tried this move again. It was so much fun and an incredible privilege to feel a part of this family as we moved around, the gorillas not paying any attention to our presence. The family has a very old silverback in charge of the group, who was very vocal whenever he wanted the group to move. On a couple of occasions we watched him make some low grunts after which he would stand up, effortlessly lean on a branch and then snap it as he moved with great authority. According to David, he’d been receiving some pressures from other outside males trying to take some of the females away from his family. A light rain had begun to fall, which just added to the wonderful feeling of being in the presence of these gentle giants and being one with this stunning habitat. We observed at least 4 females with young and were fortunate to have them stride right past us when they were instructed to move by the chief male silverback. 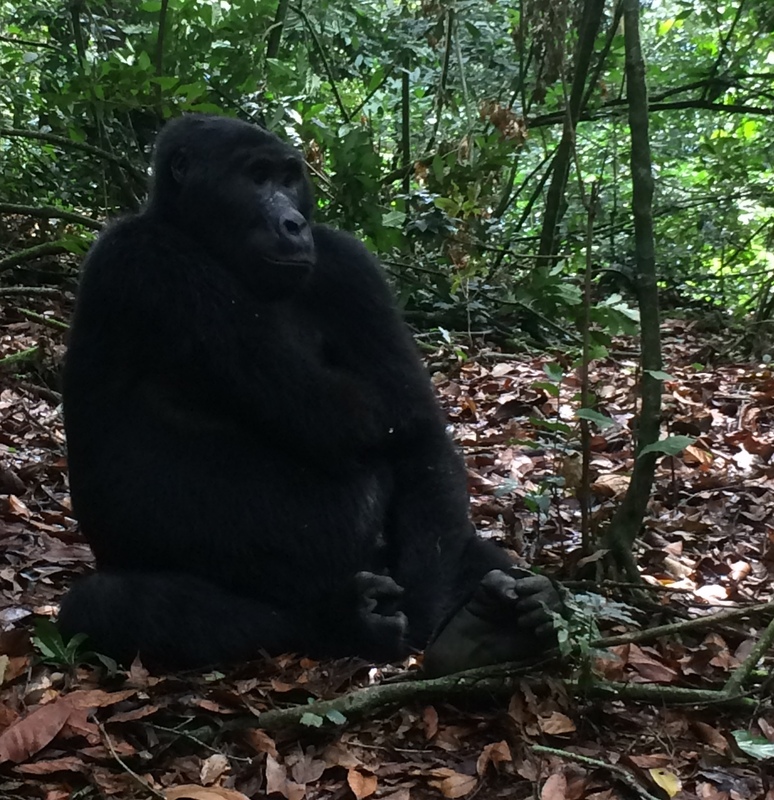 Before our hour was up, we were able to sit and watch this massive silverback lying prostrate watching us; a truly soul-touching experience, and a phenomenal way to end our time in Bwindi! We relished another really enjoyable dinner, which was filled with stories of our incredible encounters of our trip. The following morning we chartered a flight back to Entebbe, not before giving out a few soccer balls to some very excited young children, enjoyed a final lunch together at the Boma hotel, and said our farewells with memories that will last a lifetime! A special thanks to our local guide Livingstone for his kind nature and wealth of knowledge and to all the respective lodges where we stayed for their incredible hospitality and wonderful meals. Also, a big thank you to all the trekking guides, who spend each day in the forest informing guests about the need for conservation and the special role that they play in preserving such habitat and the animals that reside within. And of course, a big thank you to all our participants for being on board this expedition and for the great humour and enthusiasm shown throughout! Photo credits to Greg Whelan and L’Hoest’s Monkey and Silverback by Bellingham Safaris participant Louise Studd.